I like it. I can recommend it to anyone who likes sushi or japanese style. I have a sever ginger allergy and they listened and did not add ginger to the order, they put the wasabi in a separate sealed container to be safe. They are still my go to place even thought office moved 5 long avenues away! The staff is very nice and they are all very efficient. Thank you!!! This is my go-to lunch spot to order from on a long work day! Always on time and always tasty, I recommend this place to anyone in the area! So much flavor! The dish with spinach noodles had rich garlicky flavor; the dipping sauce for the mackerel/rice/eggplant dish was outstanding (spicy and deep). The chive dumplings are amazing; I could eat like 5 orders at once. 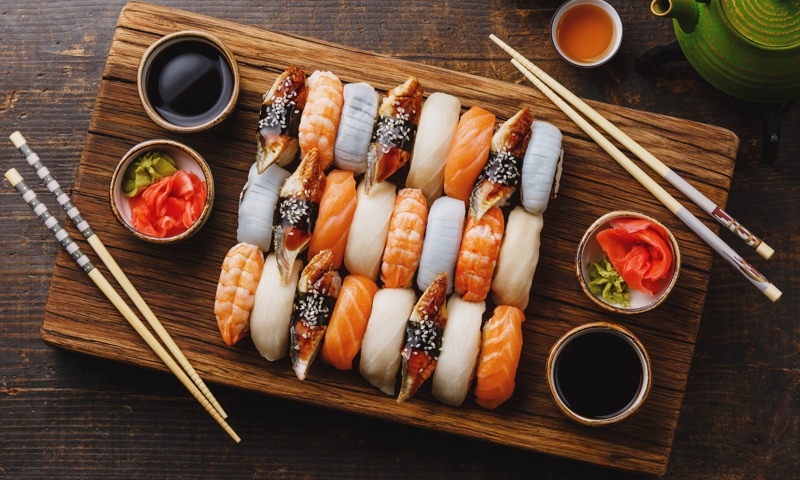 Whether you're craving a quick bite or looking to treat yourself to a delicious meal, you can now order your Sushi Time favorites for takeout or delivery.